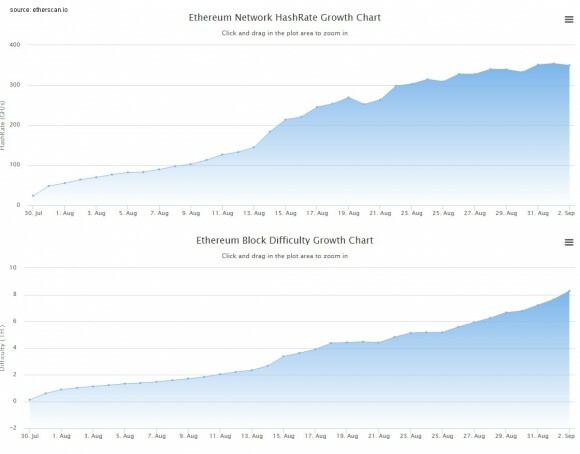 It seems that there was another issue with the Go Ethereum client (geth) that was causing the difficulty of the Ethereum network to increase at high pace even when the network hashrate is not actually increasing. The problem has been identified and if you are using the geth client for solo mining or as a local wallet you should upgrade to the latest geth version 1.1.2 (source). It is more important however that the Ethereum mining pools update to the latest geth client as apparently this is the preferred client used by the pools and not the alternative cpp-ethereum that is not affected. 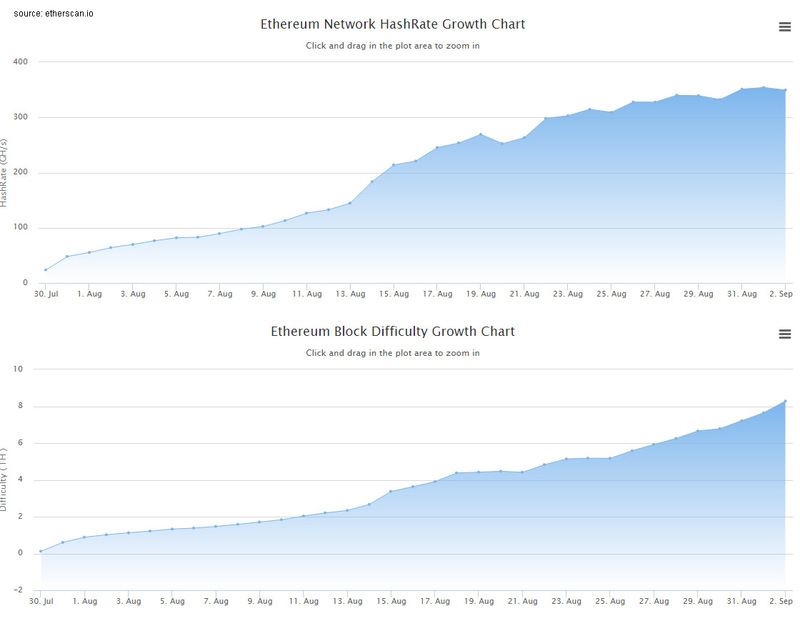 After the fix has been deployed we should start seeing the Ethereum network difficulty to start to normalize. We have provided the updated Windows binary of geth 1.1.2 in our package intended for getting started with Ethereum. If you haven’t checked our guides for Ethereum solo mining and Ethereum pool mining on Windows using geth and ethminer, as well as our guide on Ethereum mining with cpp-ethereum. Do note that if you are currently mining for the Shift (SHF) – the first altcoin that has been forked from Ethereum, then you should also update to the latest client. The Shift client software is based on the Go Ethereum client code, so it is affected by the same difficulty issue as Ethereum was, but this has been addressed in their latest update as well.